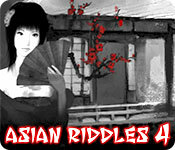 Asian Riddles 4 is rated 3.2 out of 5 by 5. Rated 5 out of 5 by Rezcanada from Too bad about the "1 star" rating, because this game IS based on LOGIC!! I purchased this game. I played the 1st 2 rooms (15 levels each, so 30 levels so far) and I was able to solve ALL of them by LOGIC alone... no guessing or hints required. The reason I purchased this game is because of its level of difficulty. I have been playing these 'griddler' games in my puzzle books for many years (yes... paper and pencil... old school). I enjoy the logic challenge, without the colours and stories, but that's just me. If you like a good griddler challenge, then please don't be deterred by the negative reviews. Try the demo. 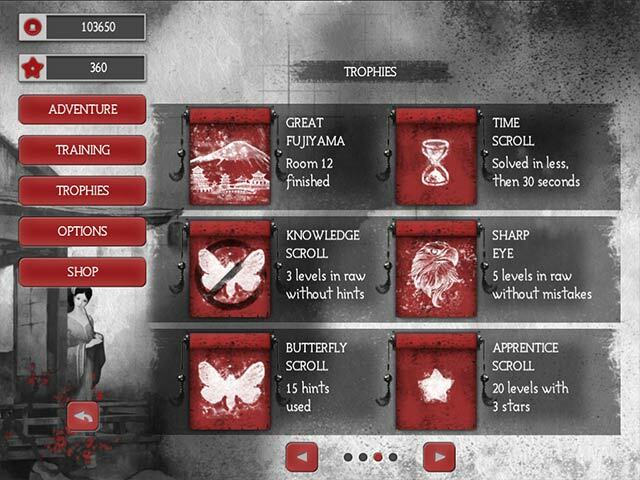 You will get a good idea of the level of challenge right in the first few levels, and know if this game is for you! Happy gaming fishies! Rated 3 out of 5 by beltie from It's Okay Game is just okay. Not great, not poor. Two items prevented me from giving it 5 Stars. Graphics are nice with the exception of the numbers. The white on grey makes it difficult to see the numbers for those with tired 'ol eyes. Kept missing seeing "1's" at the beginning of rows & columns. Very annoying. The other item that was lacking is "auto fill". Once a row is completed, don't really want to take up my time filling in the rest of the row with blanks. Been spoiled by having this option in other games. If you don't mind this and don't have tired eyes, it's a nice game. Music is nice, asian theme as the name would suggest. I muted it after 3 levels, which is what I typically do. One great thing about it is that it IS based on logic. No guessing!! Give it a try and decide for yourself. Rated 1 out of 5 by pennmom36 from Same Devs, Different Graphics, Still Not Logic Based This is yet another griddler game that is NOT based on logic. 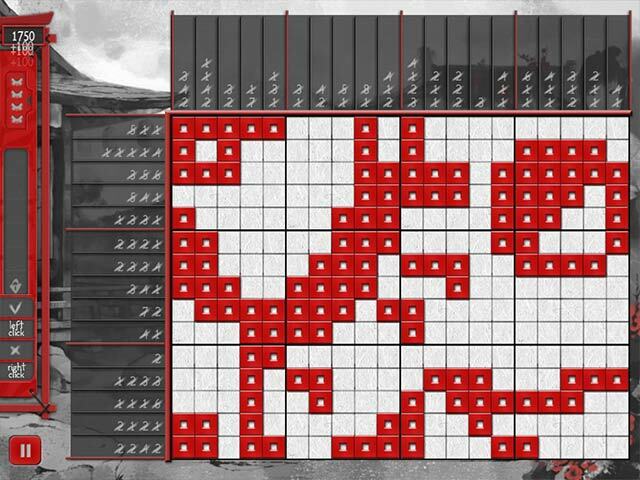 Instead it's based on using a hint, only the first 9 or so levels can be solved using logic. All games by this dev are the same the only feature that changes is the graphics, which at least these graphics are pleasing. I get that the devs can really make bank with these games because all they have to do is add a few different backgrounds and the name, which even that just requires adding a number next to the previous version. All of the features are the same with this dev, you can play a Beginner Training course with 6 levels of tutorial, or brush up on your skills in Expert Training mode with a single tutorial grid. 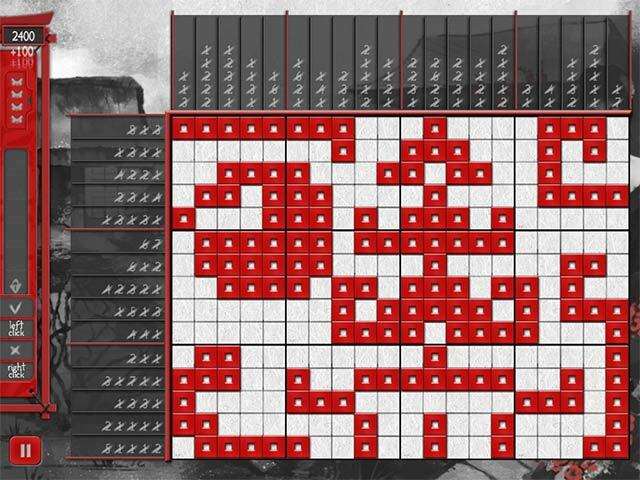 There are however more grids offered in this game than the usual, with 12 available Rooms, and each room has 15 levels that you earn up to three Red Flowers, a flower is deducted with each mistake you make. Some cells have coins that are earned when you fill in the cell correctly, and you must earn enough coins to unlock the next room or series of grids. You can visit the Shop and purchase 2 more Starting Hints, the Right to Make a Mistake X3, or Refill Hints on the current level with the coins you earn. There are so many really good Griddler games available, that require you to use logic not hints.